The ceaseless cold weather is giving me the blues! Rhonda of Paint Brushed Boutique managed to brighten my mood with an attack of color from the Treasury Island team. Her beautiful gift ideas include Blu Muse wire mask by Dragonswire Art Jewelry, blue flower magnet set by Gifty Shoppe and my ice fairy princess magnet. 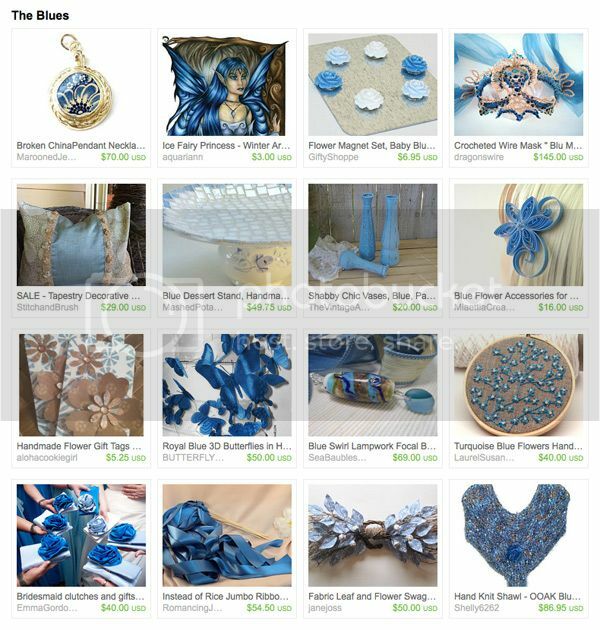 Stunning treasury with all the blues! Very beautiful. Really great treasury! Fairy items are so beautiful and ethereal...gorgeous! Your treasury has chased my winter blues away! Lovey collection!